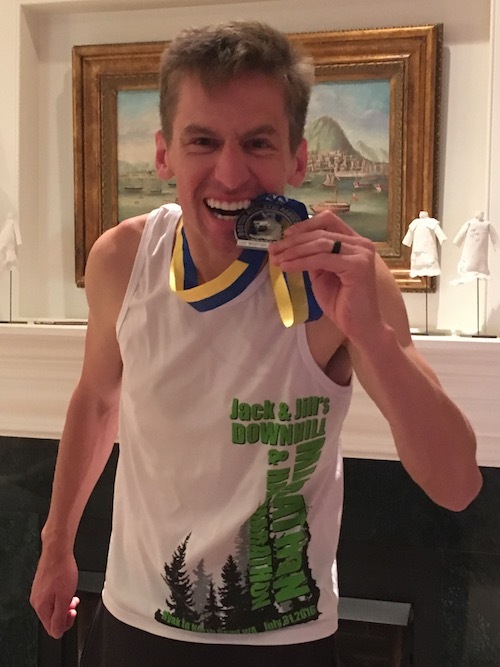 On April 16, 2018 I ran the Boston Marathon, finishing in 2nd to last place overall with a time of 8:09:48 (its a long story…). 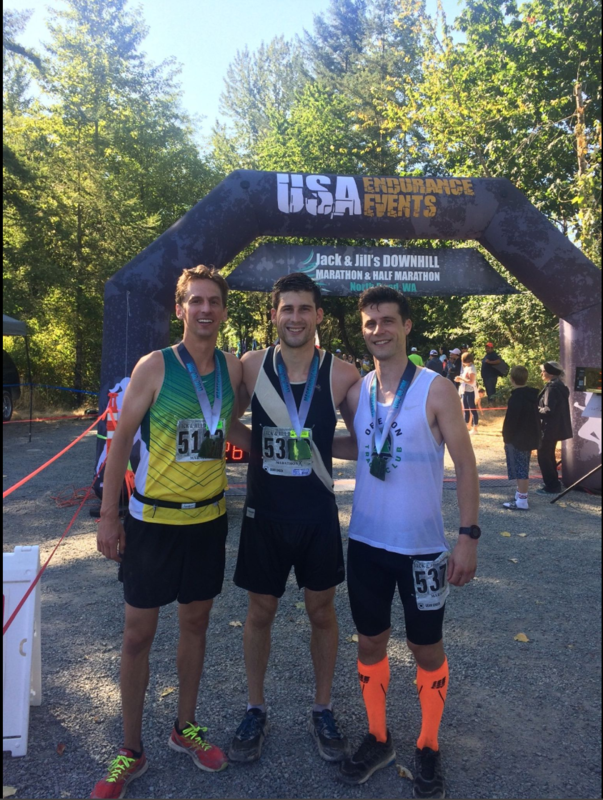 Here is the race report. It isn’t every day you get to be one of the last people to cross the finish line of one of the most famous marathons in the world. After logging 20 miles at 6:30 pace, trying my best to fight through horrible weather that I was not dressed for, my body began to shut down. At mile 23 and I dropped out of the race to get treatment for symptoms of hypothermia. 5 hours later, once safe and warm, I decided that I needed to finish. I put on some warm clothes and went back to where I had dropped out to finish the last miles of the race. Stupid gear planning – should have had a hat, better gloves, a rain proof top and maybe even my tights on my legs. WEATHER – RAIN, WIND & COLD. WHY?! How do I even write this race recap? 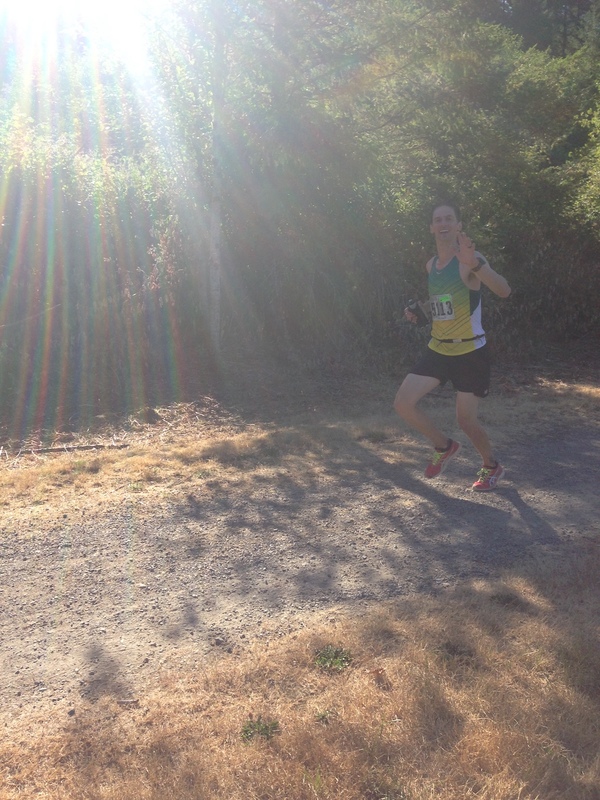 This race will go down as one of my biggest failures and successes – all in one. This will end up being the race I tell stories about around a fire as an old man. How do I capture this spectacle? Lets start a few months back. 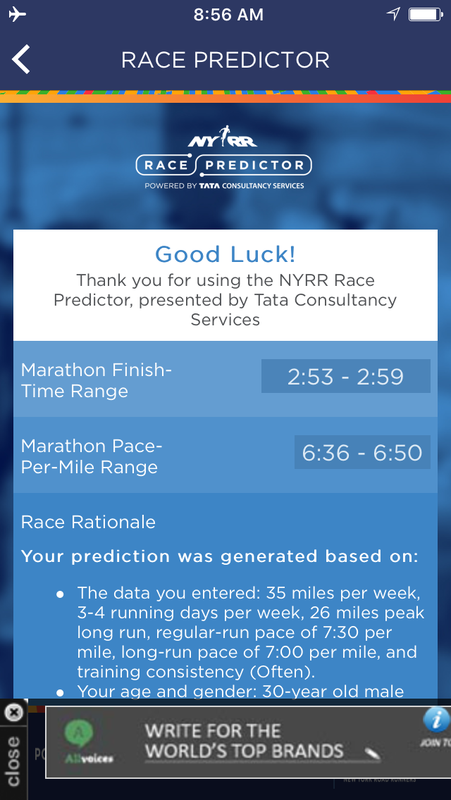 I was most recently in marathon shape last October as I planned to run the 2017 New York Marathon in early November. 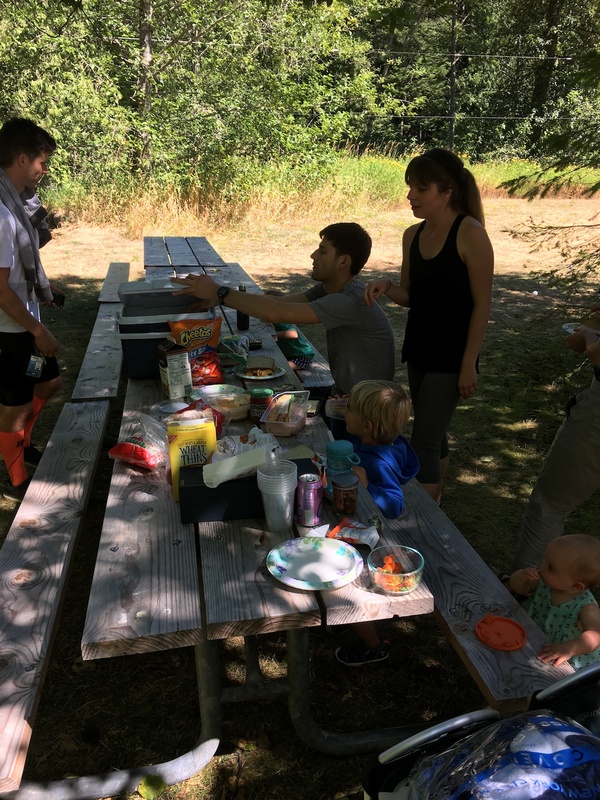 I ended up not running it due to an illness and then my fourth child was born three days later (see, I would have been fine), at which point I decided to not run at all for a few months. 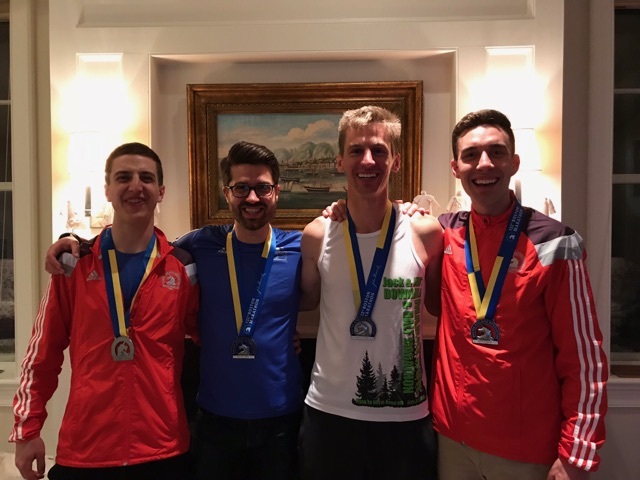 As 2018 started, so did the text chains about the Boston Marathon, which I had qualified for last year along with a group of friends. I started training on January 15th, 12 weeks before the marathon, and I was planning to stick to my 3 day a week marathon plan. That means in total I went on 36 runs (actually one was a bike ride) totaling just 345 miles in preparation for this race. This was the least I had ever run in preparation for a marathon. This might be among the least anyone has run in preparation for a sub 3 marathon. Despite that, I had clocked some great workouts. 24.5 miles at 7:15 pace, 15 miles at 6:30 pace, 12 miles at 6:15 pace. On top of that, I had really been focusing on finishing strong, ending all of the above workouts with a sub-6 final mile to help me really dig deep. I felt like I should be able to finish in the mid to low 2:50s, with a shot at cracking the 2:40s if things went well. I had decided before this race that marathon training was getting to be too much for me. I have so little margin these days and training for marathons requires time, creates physical stress and eats some mental energy – three things I can’t spare. These days I want/need my free time to go towards things that refuel me, no-plan trail runs, early morning surfing sessions or family bike rides. 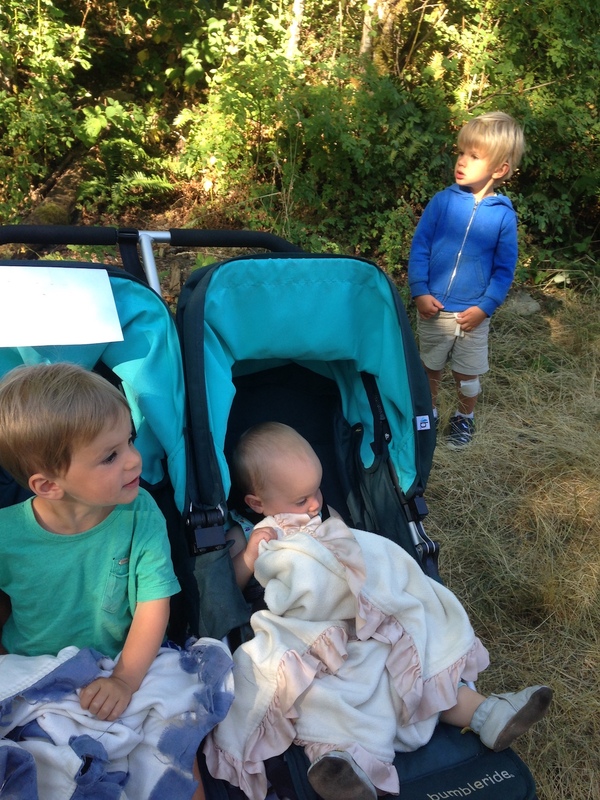 I did my best to bring the family along for this race’s training – on 60% of those runs (and 100% of that one bike ride) I ran with at least one kid in the stroller (or bike seat). But even then, I’m too competitive for racing not to create constant tension for me. I flew to Boston with ambitions of a swan song. One last 26.2. The goal was to race it smart and finish strong. Save energy early, conquer the hills and then dig deep during the last 5 miles. Let the first American marathon be my final marathon. It would not be my fastest, I wasn’t in good enough shape – but it could be my best effort wise. That was my goal. The weather reports had predicted rain a few weeks out. You never know how these things can change though. From everything I’ve heard, Boston in the spring can bring anything and change often. In the four day period around the race, the weather predictions showed all of: a day at 70* (hot for a marathon), a day in the low 30s and dry (cold but ok conditions), a day in the low 40s with wind and rain (bad for a marathon) and a day in the low 40s with no wind or rain (perfect conditions). 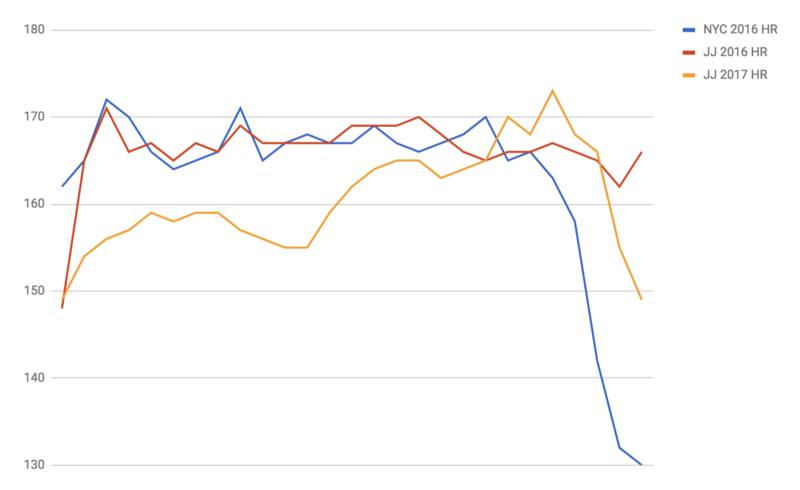 If things had shifted a bit one way or the other, it might have been a great day for PRs. As it was, we got one of the worst days in 122 years of the Boston Marathon. The day before the race, at packet pickup, around town and at dinner, racers from all over were talking about the weather and more importantly, what they should wear to run. The people from cold conditions were prepared. People like me from warmers spots were worrying or rushing out to buy new gear. One of the big rules of running a marathon is that you should never do anything on race day that you haven’t practiced during one of your long training runs. Don’t eat anything new, don’t wear anything new, don’t try ANYTHING new. For many of us, this Boston Marathon forced us to break that rule. 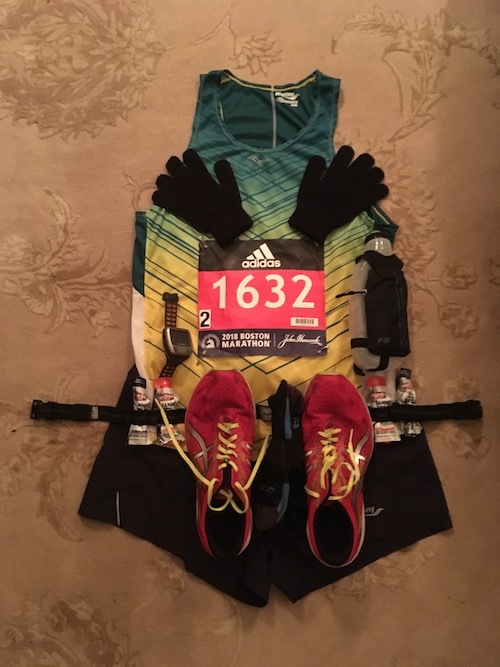 We were either going to have to wear something we’d never worn before or we were going to have to run in conditions we’d never run in before without the right gear. Fun! Most people opted for the former. I would go on to opt for the latter. To justify my decision a bit I’ll share something I’ve learned over the course of many adventures. When dealing with water I’ve found there are two decent paths – one is to use gear to try and stay dry and/or warm, the other is to accept that you’re going to get wet and use as little gear as possible to minimize extra weight & friction. I’ve found this decision about water to exist with running, hiking, biking and all sorts of outdoor activities. I usually opt for just getting wet. When hiking near the river, I’ll wear shoes that deal with water well and step right in, rather than hop around on rocks or walk carefully to avoid water going over the top of a waterproof boot. 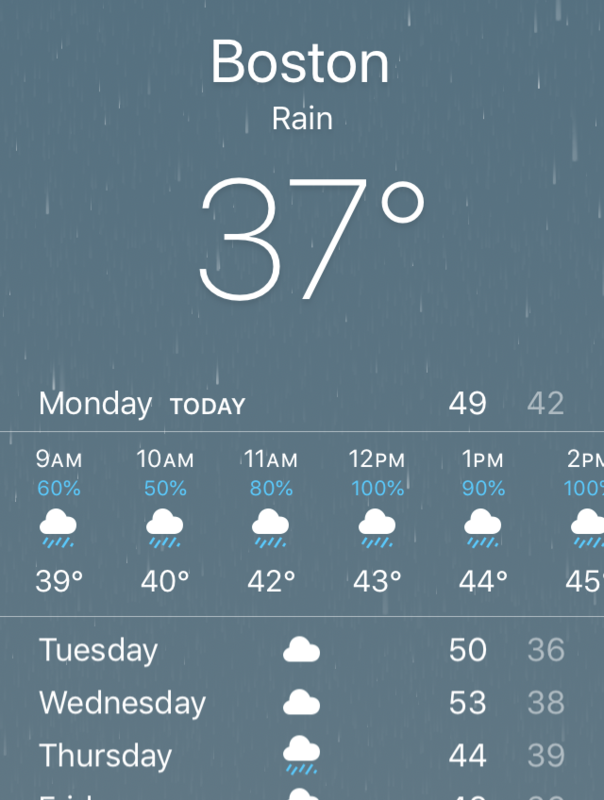 When biking to work in the rain in Seattle, I would wear my spandex shorts and a thin biking shirt – I’d rather be wet when I get to work and dry off than have overheated under a rain suit and have to be sweaty/stinky all day. This informed my decision with this race as well. The big difference is most of those things I described are situations when it is warmer outside or the exposure time is shorter. This would be the first time I attempted to be outside and wet for three hours in windchill temperatures that hit the 30s. Race morning we looked outside to see how bad the rain really was. It was actually pretty light. I was hopeful. It reminded me of Seattle rain which is really more of a continually falling fog – a general wetness more than a downpour. Thinking it might stay like that, I confirmed my decision to go light. My racing outfit would be my normal socks, shoes & shorts, but due to the cold I’d brought a pair of cheap gloves and a long sleeve tech shirt (the one I’d gotten free the day before) which I planned to throw away when I got hot – which I guessed would be somewhere between mile 5 and 13. I also had four gels with me, but no water bottle. No hat, not even for the start. The two changes I made race morning were wearing the long sleeve shirt and ditching the water bottle. My strategy was to save as much energy as possible and start the race dry and warm. After eating my customary peanut butter bagel, I put on some throw away sweats, a poncho, stuffed bottles of near-boiling water into my pockets, put my socks into plastic bags and the into throw away shoes and carried everything else in a bag. I did some math and intentionally got on a bus two hours after I was supposed to. I ate a banana on the bus and when it dropped us off, I skipped the runners village and went straight to the start line, getting there before other runners and walking right up to a not-yet-used port-a-potty. It was well executed. Had I run well, I could attribute a lot of it to that. Fifteen minutes before the race I did some light jogging & stretching, put on my racing shoes, and began stripping layers. I had a gel and some final sips of water. 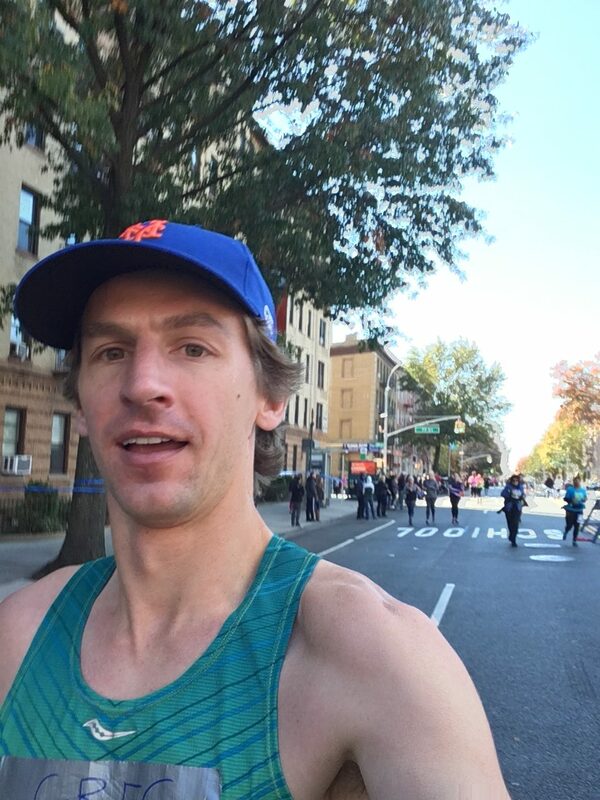 I intentionally don’t warm up much for a marathon, I start off slow and use that as a warm up – it is a long enough race that starting warm isn’t a concern in my mind. Most races, I start off with my toe on the line. 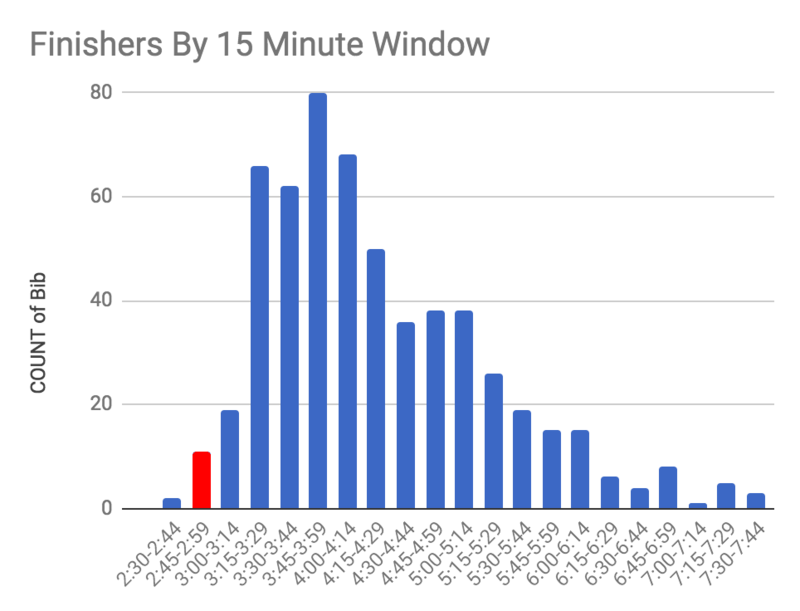 Boston was much different, My bib was #1632, and since they seed runners by qualifying time, that means there were 1,631 runners faster than me there. 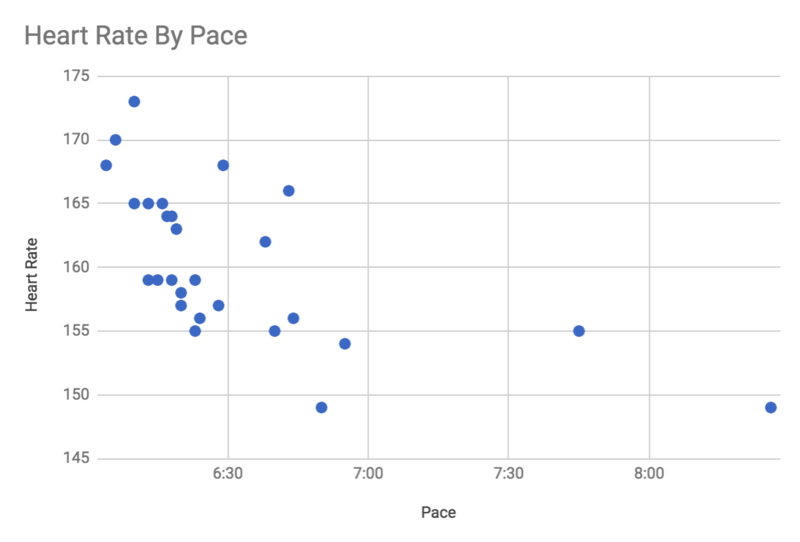 Probably more as many runners who had qualified with a slower time might have trained more and gotten into better shape. Because of that, I started near the back of my wave with nearly 2,000 people ahead of me. When the gun went off, it was actually about a minute of walking until I crossed the line and started my watch. As I ran, looking at the road ahead of me, full of runners that were faster than me, I really got a grasp on my place in the running world. 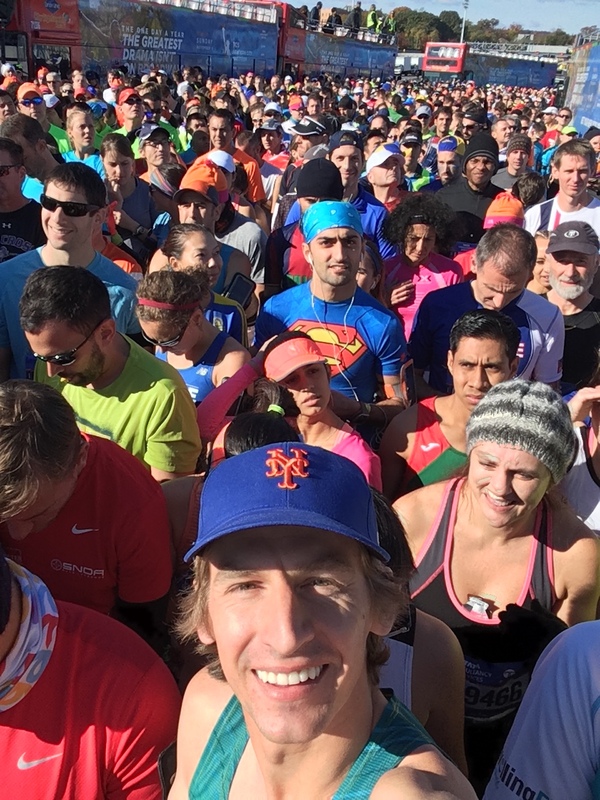 As fast as I am, the 0.5% of runners that are faster than me ends up being a lot of people. I felt good starting. Knowing the first miles are downhill and that I wasn’t warmed up, I let myself go out slow. I had wanted to be closer to 7:00 or 6:45 but it ended up being 6:33, 6:27 and 6:30 for the first three miles. 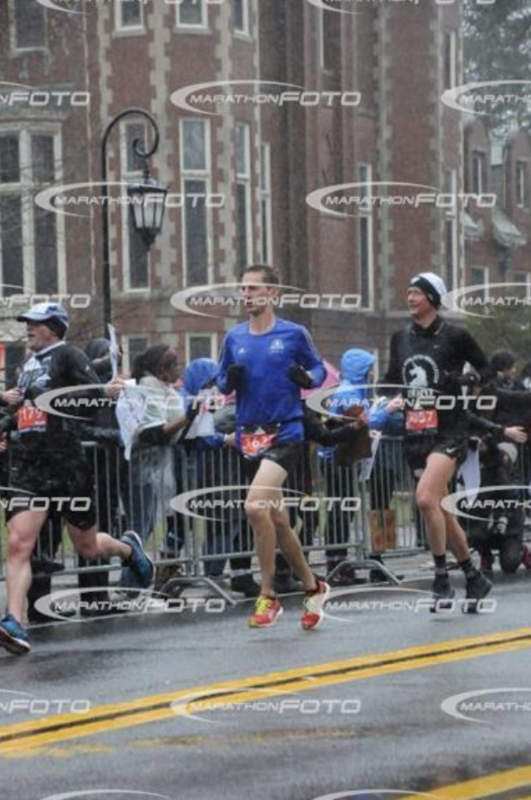 I was slowly getting passed by the runners around me. I just let the pack flow around me like a rising tide wrapping around a rock on the shore. I was doing my thing and I knew I’d be seeing those jerseys later. I couldn’t help but notice how many different types of outfits people were wearing. Normally it would have been all singlets and shorts, maybe a few calf socks. That morning I saw people in long sleeves, running jackets, sweatshirts, trash bags, with gloves and all sorts of hats or hat-like head coverings. It was crazy. There was a guy running in a full on fleece jacket. I thought he must be enjoying the warmth right then, but he was going to be so hot in a few miles. I never saw him again, I wonder if he threw it off or if he ended up finishing in it. Around mile three I noticed my left ankle starting to hurt. That is one of my lingering injuries that I have to keep a close eye on. If it was starting to hurt that early on, it could end up being a bad day. I shifted where I was running on the road so that I was hitting the crown of the road a different way and figured I’d see how that worked out. I didn’t end up having any other issues with it thankfully. At mile 3 the water stations start. Each mile for the remaining 23 there are gatorade and water stations on both sides of the road. 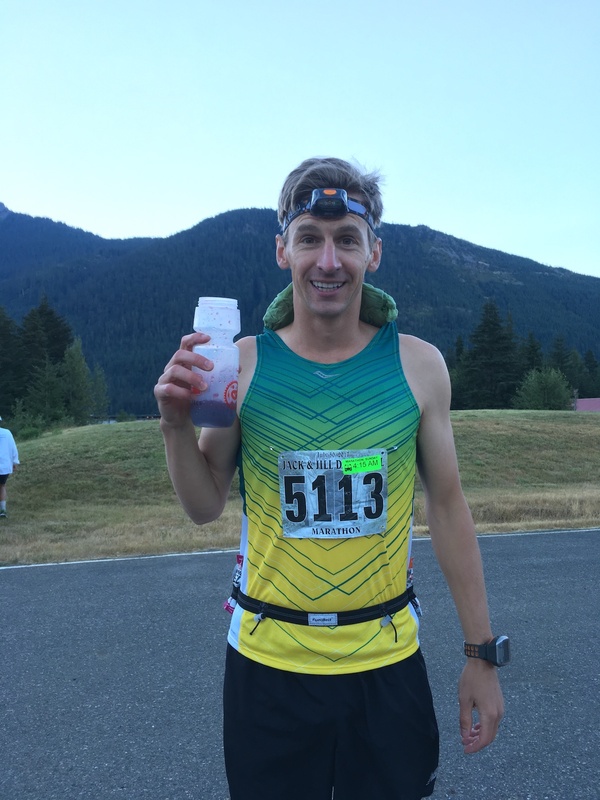 In an effort to reduce what I had to worry about, and thanks to the ample course support, I left the water bottle I normally run with at home. Because of that, I knew that not drinking enough might be an issue (even with the crazy rain) so I opted to always take a cup, even if I only took one sip. I knew that if I started skipping stations I might go a while without drinking and that would catch up to me in the end. Again, I never got to put this to the test, but it was a well executed hydration strategy. There wasn’t much eventful over the next miles. The runners around me slowly crept past me as I held 6:30 pace and they let the downhills push them a little faster. At one point my right quad started to feel a bit tight or cold or sore, I’m not exactly sure, but it was something I wanted to keep an eye on. The rain alternated between, medium and highest-setting-on-your-windshield-wipers heavy. The wind periodically kicked up and made it feel like icicles were being scraped against your face. 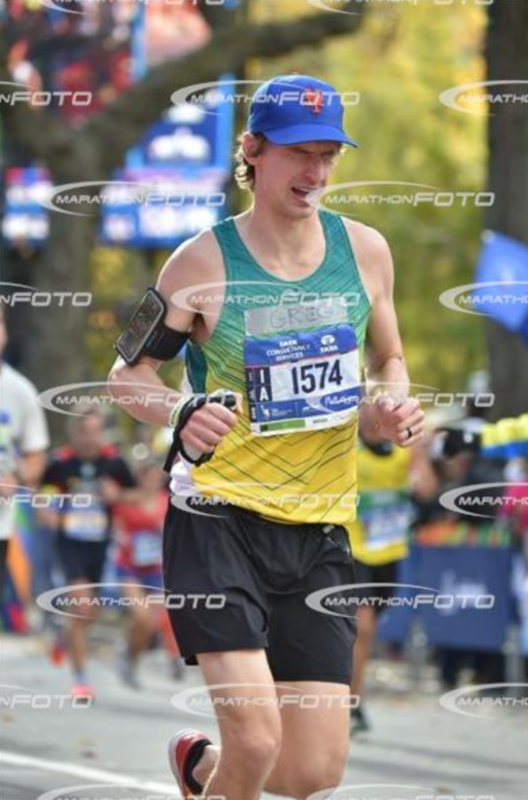 I did manage to do something I’ve had trouble with my last few races – pee while holding marathon pace. Back when I did an Ironman, I got good at peeing while moving, but because that race is so much longer, you tend to be going much slower. 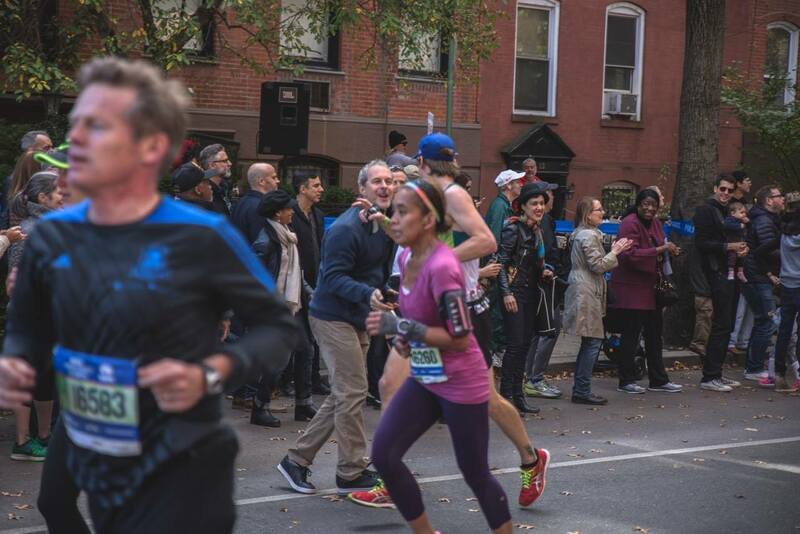 In every marathon I’ve run, I’ve had to stop once to pee – usually costing me 20-30 seconds. Today, thanks probably to the wetness from the rain, I was able to execute perfectly a few times. Minor victories. Around mile 10, after taking my second gel, I noticed a runner pulled over on the side of the road huddled behind a police car and shaking. He was in a singlet and looked miserably cold. It was a bit shocking of an image, but I didn’t think much of it. I was still feeling pretty good despite the cold weather. Pace was great. Strategy seemed to be going well. When I hit mile 12 I noticed a slight change in the background noise. The continual drone of rain and footsteps, which was periodically injected with cheers and cowbells as we passed through towns, started to change slightly. I shrill tone was getting added, like that from a swarm on insects or a flock of migrating birds. Half a mile later I set eyes on the creatures whose call had been growing louder with every step. It was no insect or bird, but rather hundreds of college girls, shrieking in unison outside of Wellesley College. I momentarily broke my focus to extend a high five to a stretch of these sirens who had lured other men into their grasps for kisses – as they have been doing for over 100 years. A few people from our group were planning to meet us in a town around mile 13. I had planned to hand off my now-soaking-wet long sleeve shirt to them. I started the preparations to take it off, moving my race belt under it so I could take it off. I never ended up seeing them because they didn’t make it out to that point on account of the weather. Had they been there I would have handed off that shirt. I’m not entirely sure if that would have been good or bad. Which is worse, a wet & cold long sleeve tech shirt or a wet and cold tech tank top? 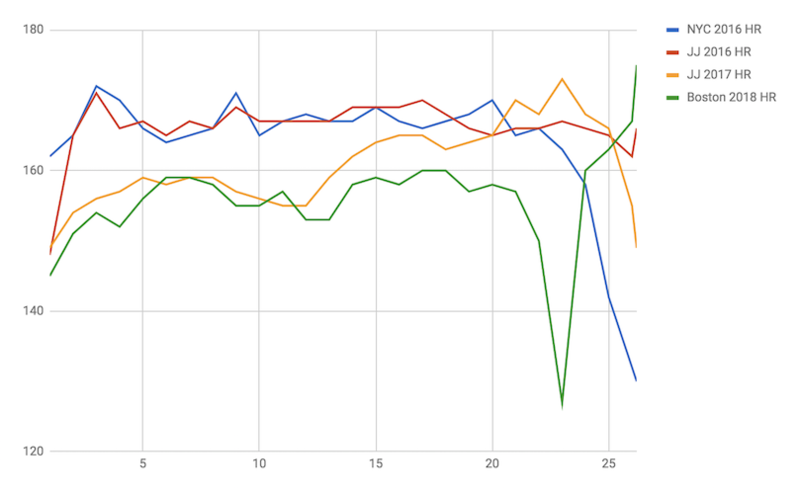 By this point in the race, what had started out mostly downhill had now flattened out and started to go slightly uphill. I kept on strategy, running splits the way I had been the whole time. Instead of the runners around me slowly inching forward, as they had been since mile 1, I had now begun passing them slowly. Familiar jerseys were coming back. Having gotten through the first half relatively conservatively, averaging around 156 BMP, it was now time to put in a little more gas. Not time to dig yet, but time to stop relaxing. At mile 15 it was time to take my third gel. This one was safety pinned to the inside of my shorts. As I went to grab for it, I couldn’t manipulate the safety pin for the life of me, that is when I came to the full realization that my hands were numb. This isn’t terribly rare for me. I’m a thin guy with long arms so I don’t have much insulation and the blood has a long way to go to reach my fingers – to save warmth, when I’m in cold water my body will often cut off blood flow to my fingers after an hour or so. I got very familiar with it when living and surfing in San Francisco – it is why I’ll usually have gloves on with my wetsuit even when most other surfers don’t. I had only had my fingers go numb while running once, a long run in Seattle on a day that was 50* and raining. I usually wore gloves when running in the rain during the winter, but by the time of the season my longest runs came around it was usually getting warmer so I left them at home so I wouldn’t overheat. One cold day caught me off guard though – 50* isn’t cold enough to wear gloves, but 50* and wet for two hours made my hands go numb. This is actually the exact reason I’d bought some cheap gloves before this very race – I was using what little context I had to try and prepare. Unfortunately the cheap gloves I got weren’t very good at keeping my hands warm and so here I was, numb hands with 11 miles left in a marathon. Numb might not be the right word actually. I had lost all dexterity and fine motor control but could still generally squeeze my hand – it was basically operating at ~10-20% capacity. I had enough coordination to grab the gel and so I gave it a hard tug and the safety pin bent and popped off. I still couldn’t open the gel, on account of my fingers not having dexterity, but I was able to use my teeth to rip it open. I did not have enough grip strength to squeeze the gel out though, so I had to kind of chew on it and squeeze some out with my teeth. All of this is to say that 15 miles into a 26 mile race I’m now having a lot of trouble doing something basic like opening a gel to eat. Probably not a good sign. 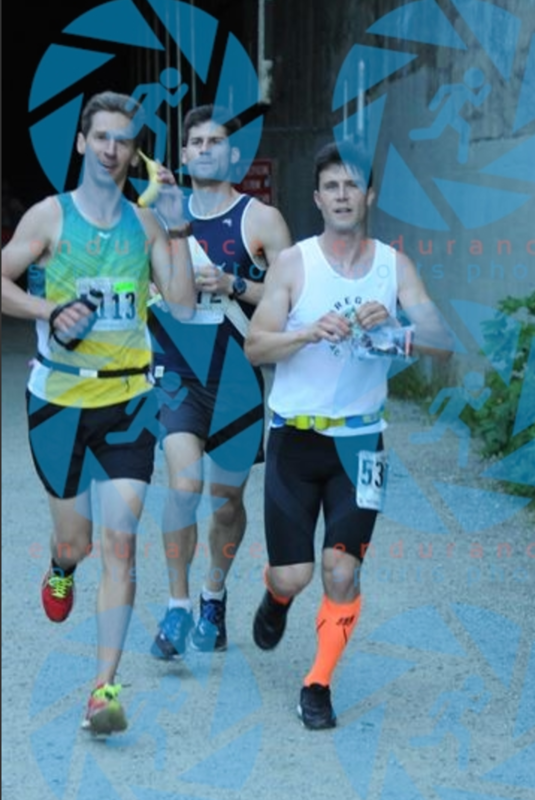 At this point in the race my calves were starting to bother me. I’ve crashed at the end of every marathon I’ve ever run, but it has never been a muscular issue. It has always been bonking – running out of energy. In fact, I’ve almost never had a muscular issue in a race. I don’t think I’ve ever gotten a cramp before – I’m not positive though because I don’t really know what they feel like. So for something to be hurting like this after only 15 miles was pretty strange. Especially since I had run 15 miles at this pace just a few weeks earlier with no issue. Mile 20 and it was time for my last gel. There were gel stations at miles 11, 17 and 23, I had grabbed one at mile 17 so I now had that one other remaining from the four I started with. The one I started with was pinned to my shorts and so once again I went to tug it off. This time the safety pin got caught on the top, the part you tear off, and despite my best efforts over about a half mile, I couldn’t get it off or get the gel open with my hands. So, in desperation, I did what seemed like the best idea, I put the top, with the open safety pin, into my mouth and pulled as hard as I could, trying to get it open. Somehow I managed not to injure myself. Now remember, I have another gel in my hand at this point and there is another one coming in about a mile. Why did I do this? I can only attributable it to the fact that my brain was shutting down. 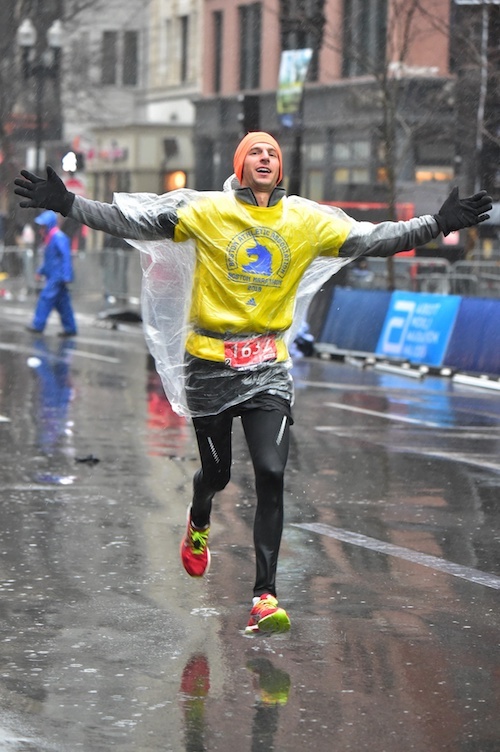 I had averaged 6:30 pace through 20 miles of the Boston Marathon in low 40s and rain with crazy wind, but thing were about to unravel. The next two miles were the second set of two hard in the pattern I’d started at mile 16. 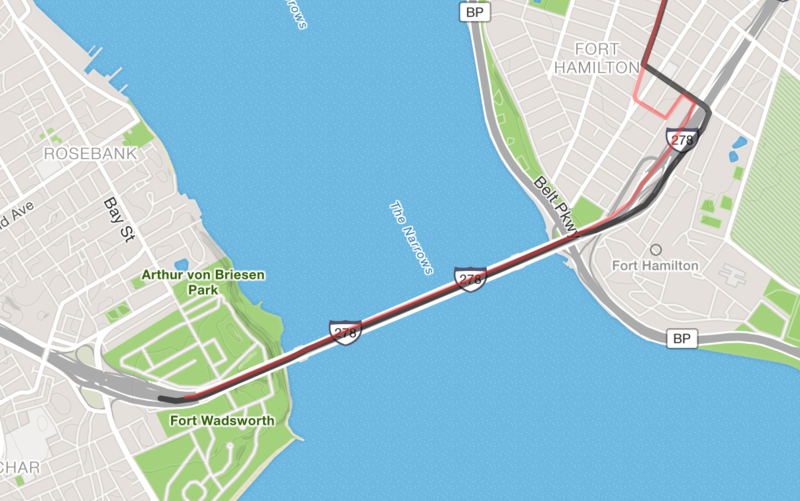 The second of which contained the dreaded heartbreak hill. I locked on a few strong runners and held on, the first hill went pretty well, my pace slowed to 6:53, but this was somewhat expected with the hill. Heartbreak hill didn’t go as well, but logging 7:17 for that mile isn’t horrible. As I climbed I realized I had shifted in modes from running where I don’t think about it to paying attention to each step. I was literally focusing on individual muscles firing to get me up the hill, usually I don’t have to get that focused until the final miles. I figured this was because of the hill though and having crested it, I was ready for an easy downhill mile to recover before the final five miles of digging to the finish. Mile 22 did not go like that though. It was a downhill mile that should have been easy but my legs were locking up. I continued to have to focus on every single step and it felt like my legs were on fire. Pushed through and managed to stay at 7:30. I was no longer passing runners though, they were starting to inch past me again. Mile 23 is when I shut down. It felt like someone turned a river on. I went from slowly getting passed to, all of a sudden, hundreds of people flying by me. 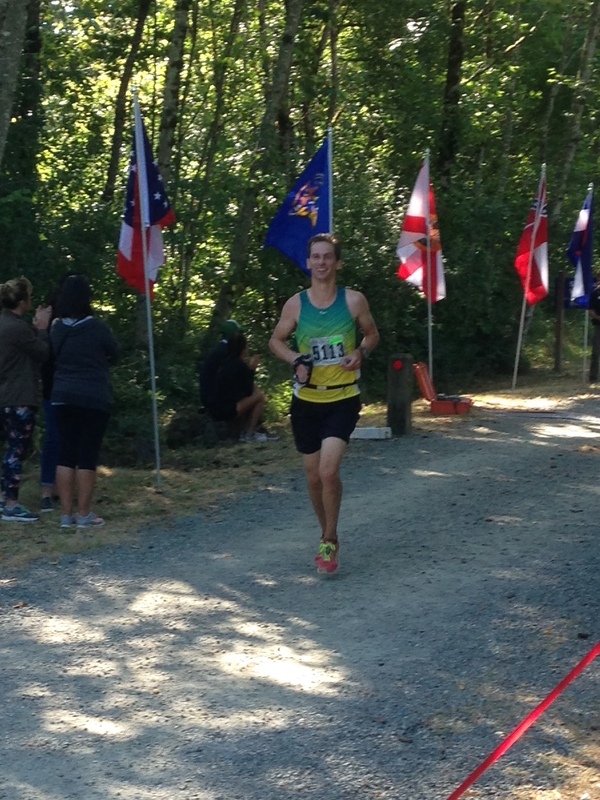 I was about four miles to the finish and 2:27 into the race. I could hit 8 minute miles and still finish under 3 hours. I needed a soft reset though. I needed to shake it out and get back in it. I stopped at a porta potty to stretch and pee and get out of the rain for a second in hopes I could warm up a bit and get back at it. I was standing in line waiting and then I realized suddenly that two or three people were yelling at me and waiving their arms, telling me that it had opened up. It felt like an eternity between them saying something and me responding. My mind was thinking the words but my body wasn’t doing its part of the job. There was another delay between me telling my body to walk in and that actually happening. I’d compare it to having had a few drinks too many. This was my brain shutting down from the cold. Let it go long enough an apparently hypothermia can cause long term brain damage due to blood flow stopping to important areas. I stood in front of the urinal, ready to pee as I watched myself miss the toilet with every single drop. I got plenty on the wall, floor, my shoes and some might even have gotten on the ceiling. I was shaking so violently that I couldn’t control myself for two seconds to pee straight. I hadn’t really thought about how cold I was until then, other than that my hands were numb. I needed to get moving again to warm up. I started off running again, hoping that was the soft reset I needed. I began at 9:00 mile pace and a minute later I was walking. My legs felt as though I had just sprinted an 800 meeter race – they were full of lactic acid. In retrospect, I suspect this all has to do with blood flow. To conserve energy while running, your body usually stops sending blood to anything except the legs and lungs – it is focused on getting them oxygen and energy. In the cold, your body tries to keep blood in your core because when it sends it out to your extremities, it gets cooled – that is why my hands and brain stopped working well, my body stopped giving them blood. Well at some point I think my body stopped giving my legs enough blood too and so I got to experience the lactic acid buildup of a sprint, even though I was running at marathon effort. By this point I’d realized that I was not in a good place. My reaction time was really poor, my hands weren’t working, my legs were on fire, I couldn’t run and was shivering violently. Had it been warmer, I would just have walked it in, gotten a 3:20 and called it a day. In the cold I knew things could get worse if I stayed out there for another hour, so I decided that I needed help if I was going to finish. The next medical tent happened to be about 100 yards down the road. My plan was to go in, get some hot liquids in me, get stretched out, get the blood flowing again and then go jog it in. My soft reset didn’t work, this was a hard reset. I figured I’d be in there 10-15 minutes. Enough time that I stopped my watch. I walked up to the tent and was directed into the church building just behind it. I walked in and like a whirlwind I was put into a chair, covered in wool and mylar blankets, given hot tea to drink had warm water bottles stuffed around me. In some ways this felt like my own Pheidippides moment. If you don’t know the story, he’s the Greek who ran the original marathon to announce a battle victory – legend has it he finished the run but died upon making his announcement. I was holding it somewhat together outside but as soon as they had my bundled up, I just completely shut down. I couldn’t answer questions, I couldn’t think, I was just huddled in a ball, hoping that the passage of time would make me better. Eventually I was able to respond to question and we got my wet clothes off and they gave me a sweatshirt to put on. I ate a few things, trying to get some calories back in me. I eventually attempted a bathroom trip, but couldn’t walk on my own and needed to lean on someone to get me the 50 ft to the bathroom. This time I was able to pee into the toilet though – so that was progress. Eventually I got to talking to the runners around me, a Bib #118, a 2:15 Kenyan marathon runner who had never been in weather like that and a local guy who had run a 2:35 previously but had trained for hot weather (because the year before was really hot). We were the dumb ones, the ones that hadn’t prepared enough for the weather, but had gone out trying to PR. There we were, huddled in an old church around an plug in heater, bundled up in wool blankets and sipping tea. The took the temperature of the guy next to me and it was 92* – I’m told that is bad. They didn’t take mine, but I wish they had now, could have at least set one new record that day. Eventually we started to talk about next steps. I still thought I’d run back, but had started to realize that probably wasn’t going to happen. 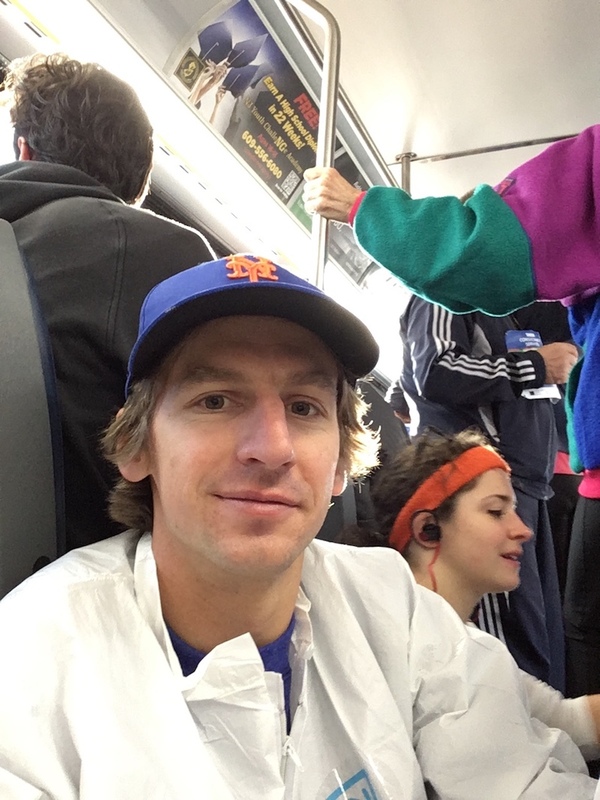 Both of the other runners were planning to take the bus. Shortly after that someone came in and let us know it was really bad on the course and they were expecting thousands of runners in the medical tents and wanted to clear people out as soon as possible. I was supposed to be flying back home at 7pm that night, which meant I needed to get home and get packed or I’d miss my flight. I decided to get on the next bus. This was a moment I wish I could take back. 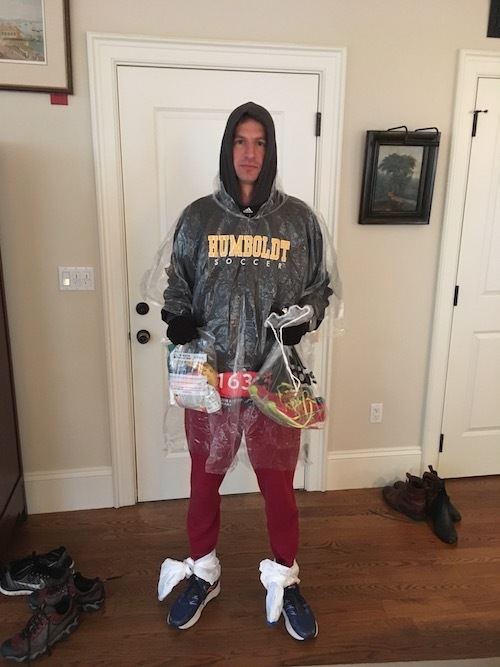 I knew that going back out to the race in my wet clothes would be dumb – I was warmer than before but still pretty cold and all I had with me was my wet clothes and a cotton sweatshirt they had given me. I couldn’t really walk. Over the course of four miles I would have locked up, gotten wet & cold again, then been right back in a medical tent. Had my brain been working, I could have figured something out. Maybe gotten a poncho to keep that cotton sweatshirt dry, maybe started some stretching to get my legs back. Maybe another half hour in that tent and I could have run the final miles and gotten home in time to get to the airport & catch my flight. But right then I wasn’t very creative. I focused on survival and knew that getting back to where I was staying was the best way to ensure that I stayed alive. It ended up being a long journey back to where I was staying. I still couldn’t walk very well, so I had to be near-carried out to the bus. The first bus was a nice, warm, charter bus that took us a few miles down the course to a bare bones, and chilly school bus that was going to take us to the finish line. I borrowed a phone to text my wife that I was ok and she relayed word to the group I was with. We ended up waiting a long time, maybe an hour, before we left as we were waiting for other bus drop offs. It was a long ride through traffic into the city. When they dropped us off, I realized what was in front of me, it was still cold and rainy and I had at least a mile of walking in front of me. I got the finisher poncho, post-race food bag and my gear bag and started the walk home. It was miserable. It was one of those forward-at-all-costs slogs. Thankfully I was pretty dry and relatively warm. I could walk a bit better now, just not quickly, laterally or on steps. At one point I reflected on the fact that I certainly could have finished the race, I had proven that by walking about two miles to get home. That doesn’t count though and I knew it. I had stopped running at 12:36 PM, I got home at probably 3:30 PM. The group I was with quickly got me inside, into the shower and loaded with food and hot tea. By 4:00 or so I was feeling good again. I was warm, I was full, I was able to function. Over the next hour a few things occurred that helped me decide to go finish. I had about 50 text messages when I grabbed my phone. I called my wife and mom and texted a few quick “I’m ok”s. Then I read through the texts. They started off as early morning encouragements that I hadn’t seen since I’d left my phone at home. Then, there were mid-race texts of ‘good jobs’ for hitting my splits. Then, all of a sudden there was concern, people weren’t getting course updates anymore and were wondering what was happening and if I was ok. I’m so grateful for all every that was concerned. Then a surprise. A text from my airline – my flight, which was supposed to leave at 7pm that night (I was supposed to be heading to the airport shortly), was canceled and they’d moved me to the same flight the next evening. That meant that I was no longer in a rush. I could go out to dinner and I’d even have some time the next day to see a bit of Boston, maybe go for a recovery jog. Next, we got together for a group picture and all put on our Boston gear we’d gotten that weekend. The other three runners I was staying with all held their medals. I didn’t have one, since I didn’t finish. I looked down at my yellow Boston Marathon shirt. I had specifically sought out that shirt. When they sold out at the convention, I went elsewhere to find one. Now I didn’t feel like I could wear it again. The sad thing was that shirt was two years in the making. I had to train the previous year, then qualify in a race, then train again, then fly out to Boston and then run the race. While the last 3 miles might be ~10% of the course distance, really it was less than 1% of the total work for that accomplishment. But I wouldn’t feel right wearing that shirt unless I finished every last percent of the work. You don’t get to wear that shirt for trying your hardest. It is pass fail and at that point I hadn’t passed. I got to thinking that I needed to do that recovery job the next morning on the miles of the course I hadn’t finished. 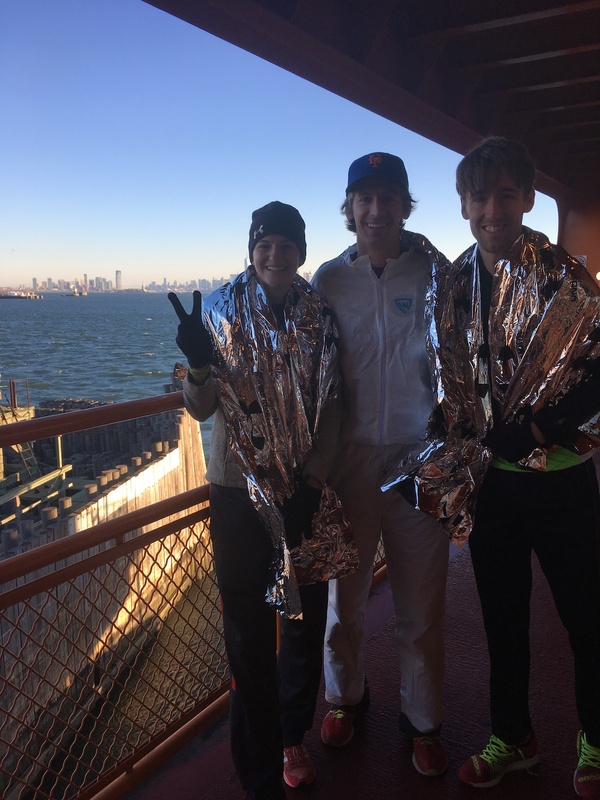 It had taken me over a year of work to get to mile 23 – even if the last miles were a day late, they were still part of that body of work and in my book, they would count. As long as I finished the entire course, I could consider it mission accomplished. 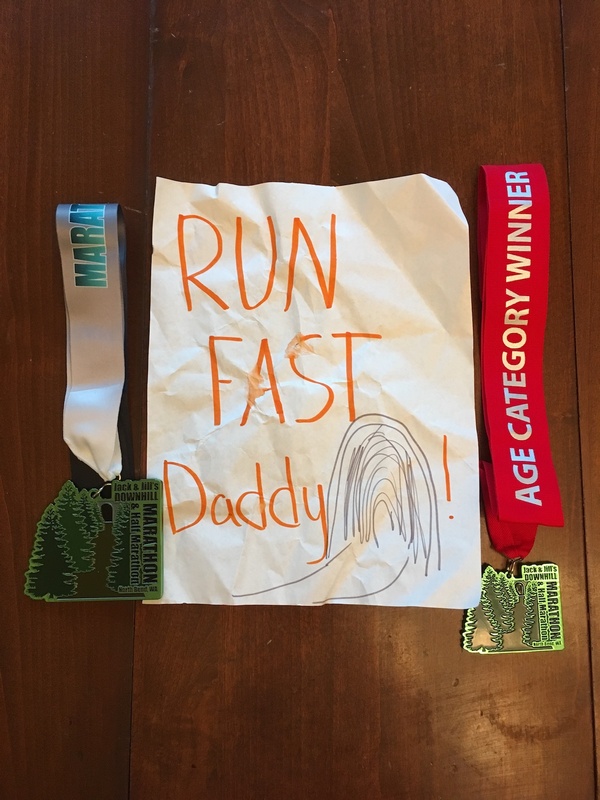 Around that time, my wife had told my sons (daughter too – but she’s too young to understand) that I hadn’t finished the race and they were pretty upset about it. This wasn’t something they knew could happen. When they heard about me winning races, most of the time they were races I had won, or at least gotten on the age group podium for. One race I pushed both of them in the stroller and won my division, getting 4th overall, despite the fact that no one else was pushing a stroller. The fact that I hadn’t won the Boston Marathon would have made them a bit sad, but that I hadn’t even finished was shattering. I needed to do it for me. Admittedly, subliminally, I wanted to do it for what others think about me. But as I thought about my children and how my actions speak to them, I did it mostly for them. I want them to grow up in a family where they learn that when you wear our name, you do not quit because things are difficult. I wanted this to become a family legend. A tale they could dig up and use for strength in their own lives. A reminder that they are part of a clan that has come from hardship and that will face hardship again – but that in our clan, we do so with courage and we finish what we start. There is sometimes wisdom in stopping – when the risks outweigh the benefit. For me to risk long term consequences, to finish an unimportant race, when I have a wife and four children that depend on me, would be foolish. But difficult is not the same as dumb. Now that I was mostly physically recovered, given proper gear, the only thing standing between me and the finish line was hard work. The TV in the living room was on. The anchors were recapping the marathon winners and the events of the day. Eventually they cut to a feed of the course where they showed the rain that still persisted and runners that were coming in. That is when I realized that was a live feed. The course was still open. I had to go finish. Right then. I frantically started grabbing my running things, rummaging through my bag for anything I could wear. My buddy Darin, one of the other runners, asked what I was doing and I told him I needed to go finish. Without saying a word he extended a fist for a bump that conveyed the understanding of a fellow competitor. He started to go through his own stuff to find any gear that could help me. Now remember, I couldn’t really walk, just a few hours before. 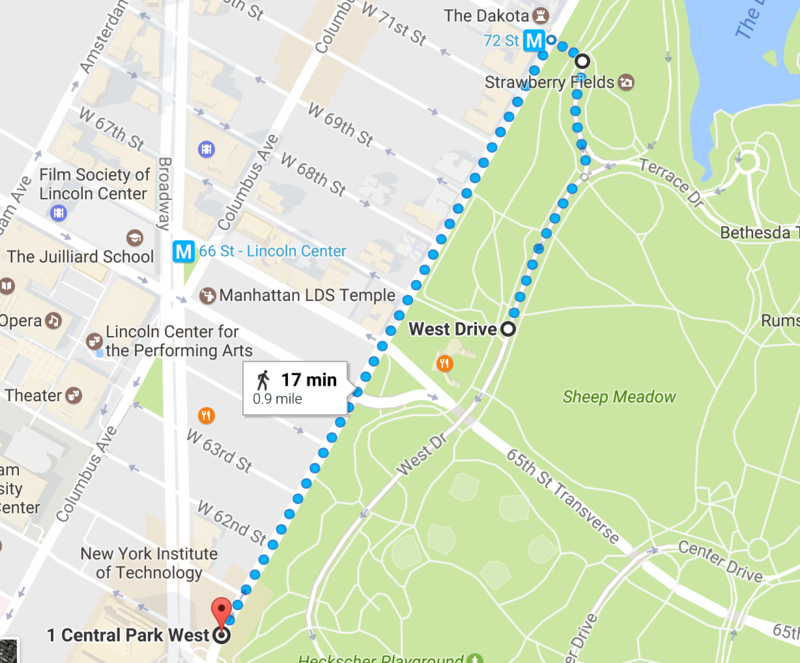 As I decided to do this, I fully thought it might take me an hour or two to walk the final miles. Maybe longer. I layered up. 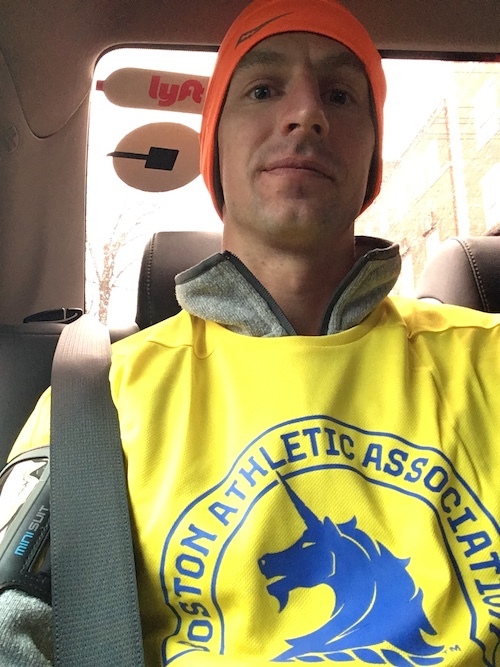 Running tights for my legs, undershirt, then long sleeve, then my fleece jacket, the yellow Boston Marathon shirt I had bought on top for good measure. Fleece gloves, my running hat and a poncho to top it all off and keep me dry. I was properly equipped this time. I brought my phone with me in a plastic bag and had my credit card and ID card too. 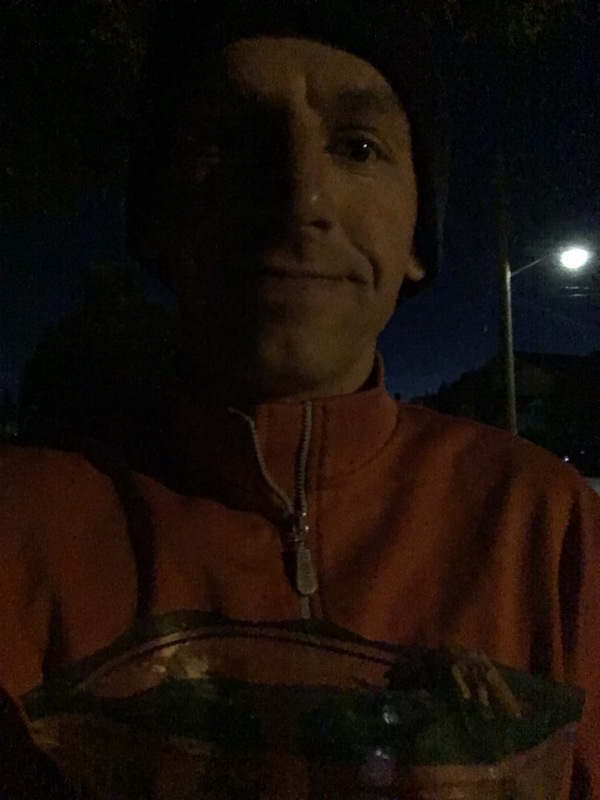 I was going to finish this race and if it took me all night, I was going to stop in convenience stores to self-support my finish with hot chocolate and hot dogs. There are times when our actions and situations are so in line with who we are that they are almost a caricature. 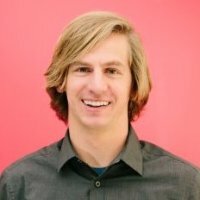 Friends sometimes joke about ‘Peak Greg’ – situations that are so ‘me’ that I’ll never be able to top it. This might have been peak Greg. It was certainly close. I got out of the Uber and asked a police officer which way the course went and he pointed and asked me to stay on the sidewalk, the course was now closed and cars were back on the roads. The lights were turned off in the stadium. The fans had gone home. But I was going to be out there until I had finished. I hit ‘Start’ on my watch and resumed my race. 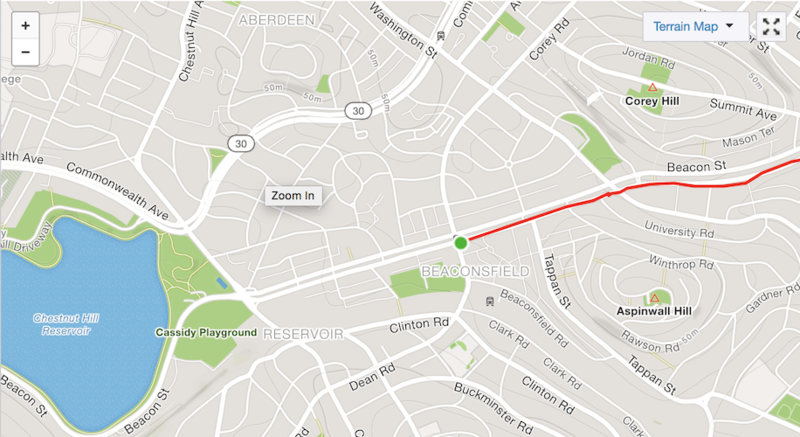 I was jogging on the sidewalk, all layered up, most concerned that I would follow the actual course. I didn’t need to invalidate my finish with a shortcut right now. Along the next mile I passed a few other runners. 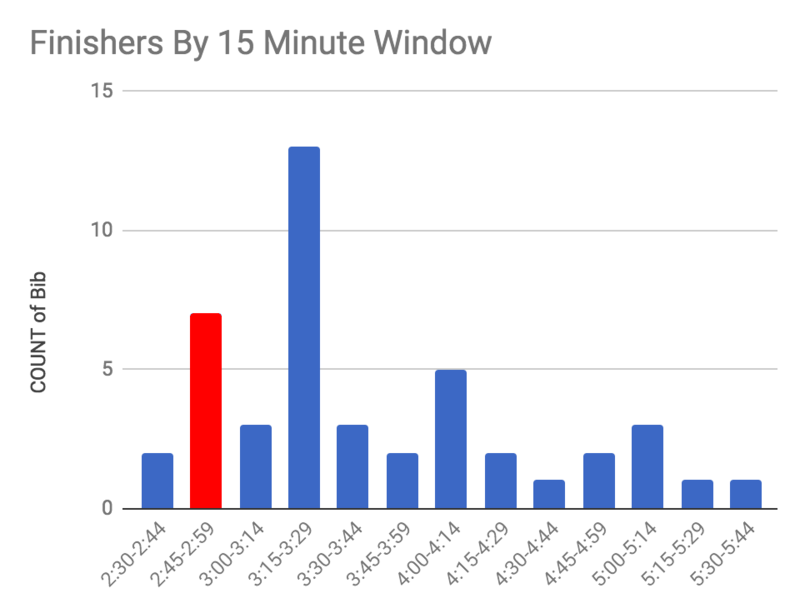 Runners who might have gone on to finish, but who didn’t get to log an official time. This was a whole new world to me. 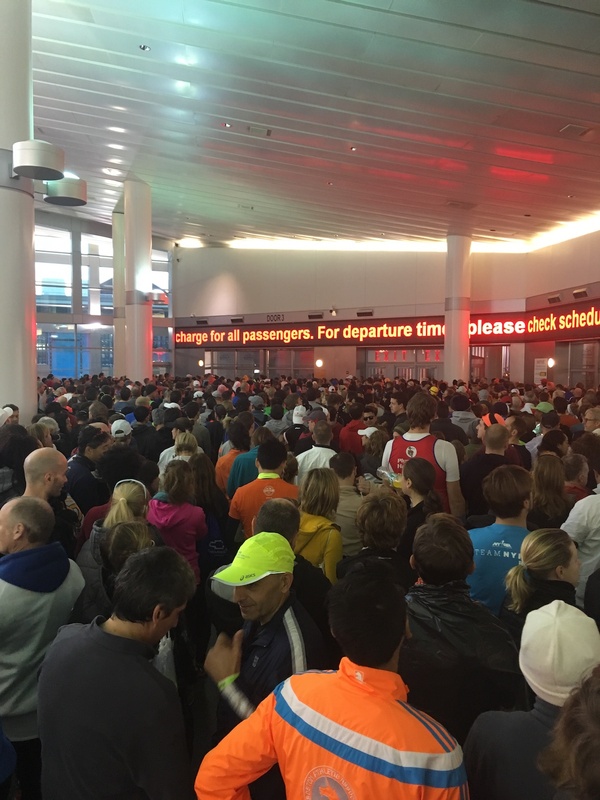 A few years ago I wrote about some of my learnings from being in first place in a marathon – it is a bit harder since the volunteers aren’t always ready for you yet and you need to make sure you know where you are going. Well being in last place is hard too. I was on the sidewalk, dodging pedestrians going about their life. I had to wait at stop lights for the walk sign. Cleanup crews were removing the barriers and street sweepers were cleaning the roads, spraying dirty water my direction. This is a world that always exists, it was just previously invisible to me. I’m appreciative I got to see it. You can see here there were a few runners still on the course at 6PM. Not the thousands there were earlier, but a handful that were going to go the distance. After a half mile I glanced at my watch and noticed I was averaging low 7s. That was including an intersection I had stopped at to wait for a walk sign. I guess my legs weren’t as dead as I’d thought they would be. The next miles were 6:55 and then 7:11. 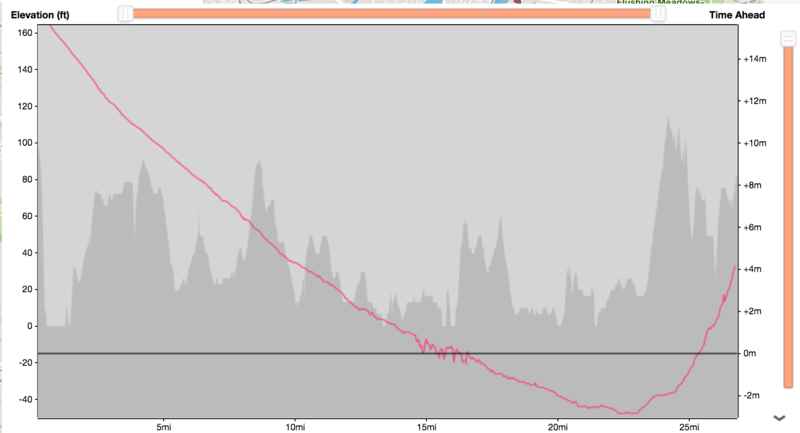 I logged my highest heart rates of the day, mostly because I was now overheating in my layers. Kind of ironic – because I had been so cold earlier, because I chose NOT to wear layers, because I thought I would overheat. As I neared the final half mile I realized they hadn’t yet torn down the barriers to the street there yet. I got on the road and squeezed past a few moving trucks that were there to tear down and I got to run the last bit on the actual course. 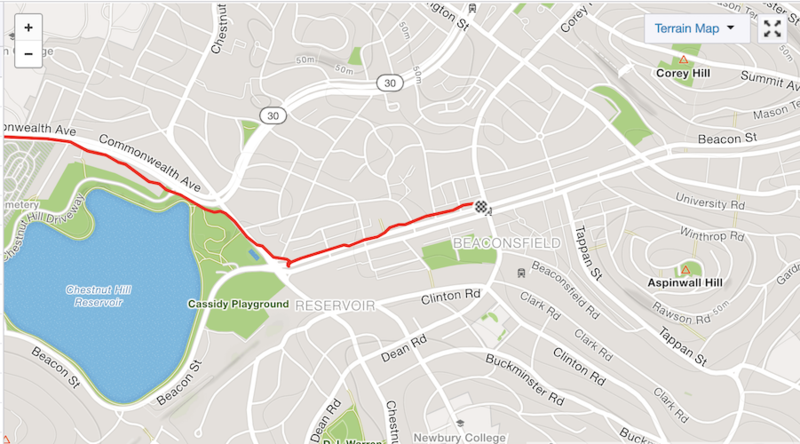 As I made the famous left turn onto Boylston st I finished the way I had intended to, 5:35 mile pace. I left everything out there. 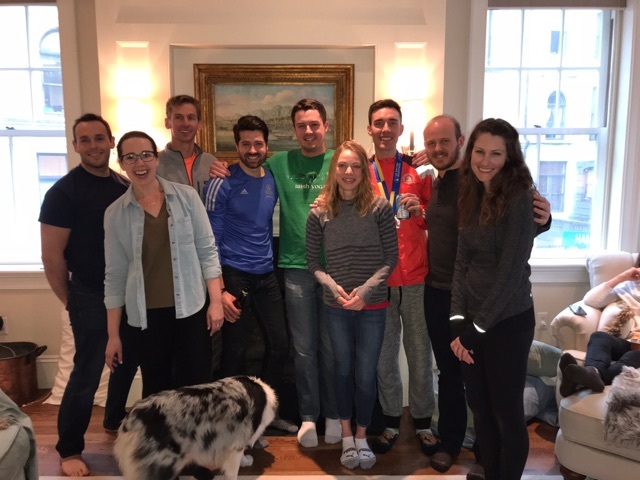 As I hit the finish line, nearly in tears, I celebrated in the way I had been planning – I dropped down, kissed the finish line of my final marathon and gave a few pushups for good measure before crossing the line with my arms in the air. This was how I was supposed to finish Boston. It might have been 5 1/2 hours late – but it was right. In the Uber I had looked up what time the course was supposed to close – 5:30 PM. It was now 6:20, but to my surprise there was still someone there with a box of medals, still a photographer and I would later find out my chip had logged a finish time as well – the timing mat hadn’t yet been shut down. It took me another half hour or so to walk back home. It really started dumping rain, so for a little while I hid in one of the gear check tents until it let up a bit. The walk through Boston Common was nearly a swim, there was ankle deep water for a lot of it. Getting home I took another warm shower and put on the only other dry clothing I had left. Everything else was drying – it had either been run in that morning or that evening. I was happy to have received a medal, but happier that I knew I had mettle all along. That evening we did a retake of our group shot – I felt a lot better about the race for this one. Looking at my pace, you can see it is like clockwork for the fist 20 miles, even with the hills. Heartbreak hill is the first time I have a real stutter and then you can watch the wheels come off. In the second part you can see what would have been a really strong finish. Around 7 through the final miles and then a nice kick with about a little less than a half mile to go. My heart rate through the fist half was incredibly low due to the cold. That gray line labelled 600ft in the chart below is actually 160 BPM. I barely crossed it where as normally I am at 165+ for most of a marathon. Had I not broken down from hypothermia, I would have had a lot left in the tank for the final miles. Interestingly, in the second half, my heart rate basically never went below 160 BMP because I was warm and even overheating some. 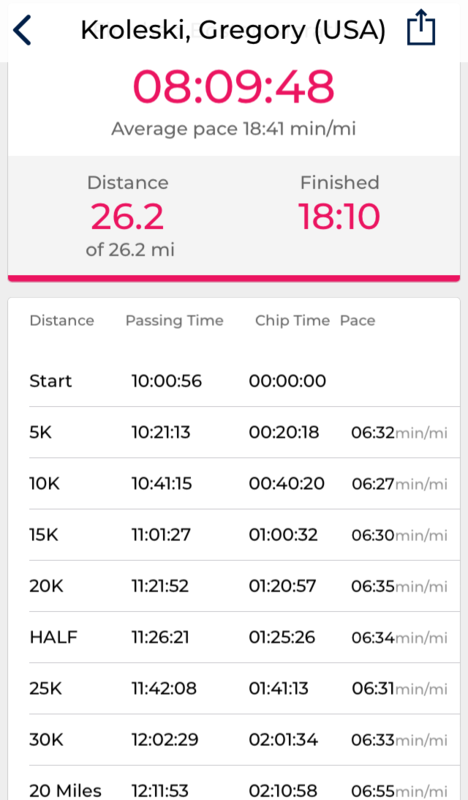 I’m really proud of that finish, I touched 182 which I’ve never done in a marathon race. 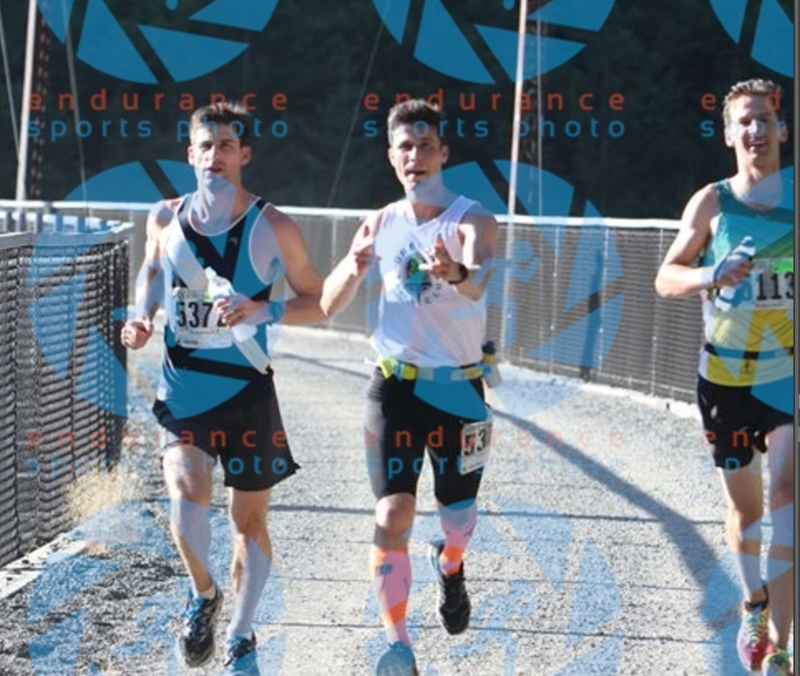 Here you can see how I was doing compared to a handful of other runners. When their colors are on top of the black line, it means they’re ahead of me. You can see I let a lot of people pass me in the first 13 miles and then over the next 6 I held my pace and gained a lot of ground. Unfortunately they all passed me very quickly come mile 22. Looking through Strava it was interesting to see all of the DNFs. Some people dropping out as early as mile 16 but lots between miles 20 & 24. I saw a lot of people who were, like me, on pace for low 2:50s but then had to walk/jog the finish and ended up around 3:00. 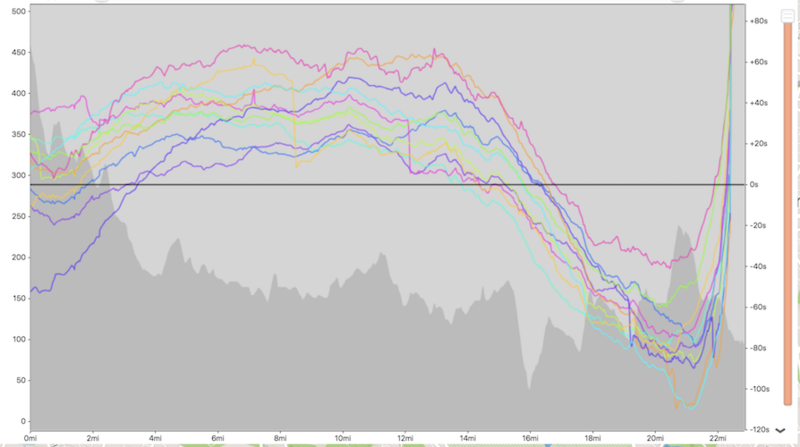 This is a chart of my heart rate per mile in all of the marathons I’ve raced. 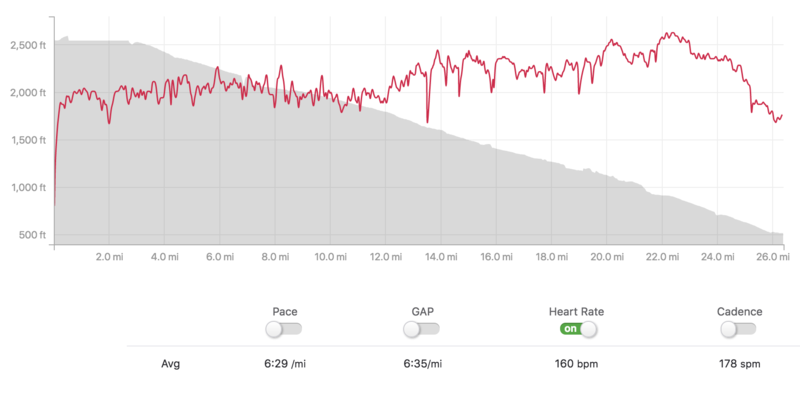 You can see that this race (in green) was the lowest I’d ever had my heart rate be for the early miles. Even lower than 2017’s Jack & Jill where I felt like I was jogging the first half. You can also see that every race has some sort of crash. If you run a marathon hard, you will struggle at the end. My best race, in red, that crash was just starting in mile 26 – I dropped from 5:55 down to 6:37, but then I was able to finish strong in the last 0.2. Had that race been any longer, it would have been really bad. That was near perfect timing. The blue race I wasn’t in great shape and went out too fast, so I crashed at mile 23, way too early. In the orange race I pushed it too hard from miles 18-23 and crashed at mile 25 – a mile too early. In every single one of those other races, the limiting factor was energy. I bonked. This race, that crash started at mile 21 and was all muscular. For this race to have been the lowest my heart rate had ever been in a marathon and then for me to have crashed that early, and for it to have been for a reason I’ve never struggled with, says a lot about the conditions. 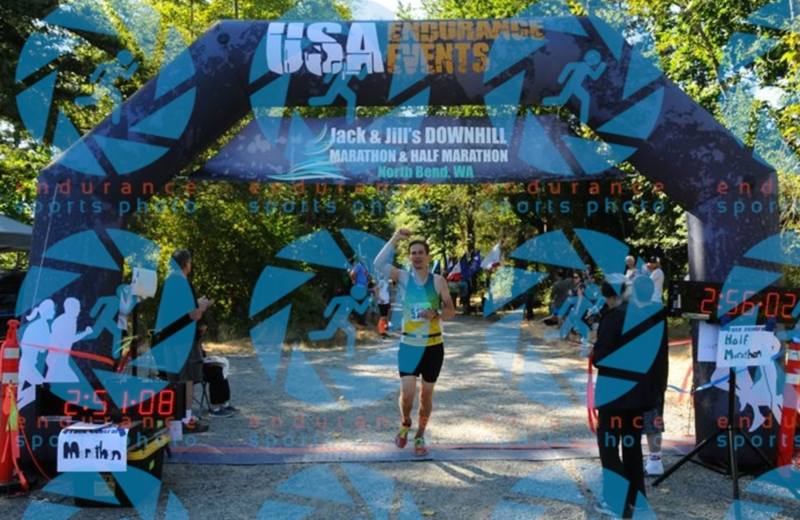 It isn’t 26.2 – this was my last time racing that distance. I will definitely race again – probably even running races. I think I’m due for a break though. 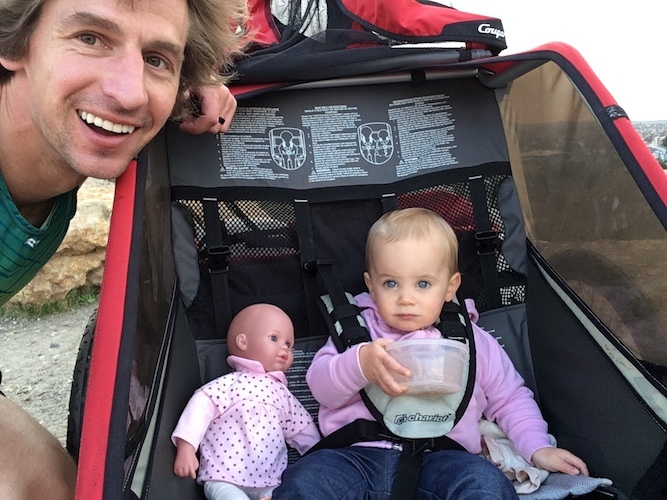 I am signed up for the Dipsea in June and there is a local 10k in July that I might take the stroller out in. I’ve yet to decide if I’ll put in much training for either of those or just show up and run with whatever fitness I’ve got.